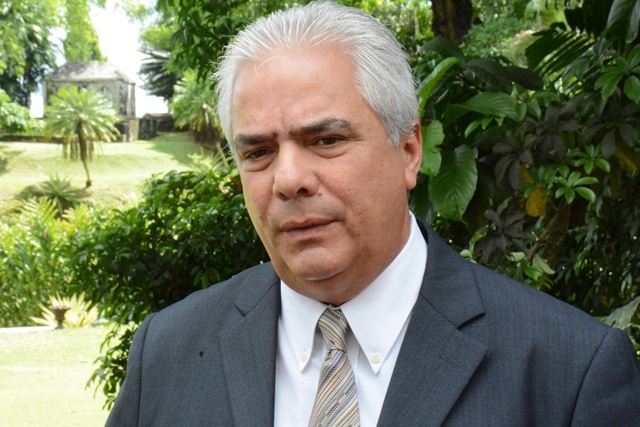 (Seychelles News Agency) - Cuba is ready to maintain cooperation with Seychelles in the fields of health and education, the newly accredited Cuban ambassador said Tuesday. Juan Humberto Macias Pino said the Latin American nation is also interested in exploring collaboration in other areas of common interest such as the environment. Pino made the statements at State House after he had presented his letter of accreditation to the Seychelles President Danny Faure. “It is the responsibility of our government to continue cooperation in all fields where Cubans are needed in Seychelles,” Pino told journalists. Health is currently one of the main areas of cooperation between the two countries, which established diplomatic ties in 1978. There are presently around 50 Cuban doctors working in the island nation. In the field of education, many Seychellois nationals have followed graduate and post graduate studies in various fields in Cuba. Over the years, the two countries have also developed cooperation in the fields of sports and agriculture. 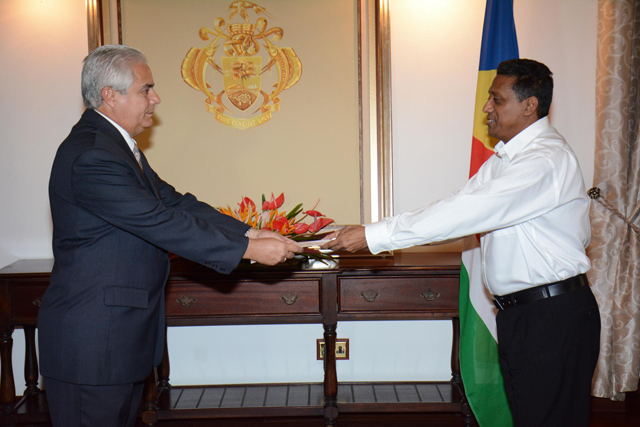 Pino said “great relations” exist between Seychelles and Cuba, highlighting the fact that the two countries will soon be celebrating 40 years of diplomatic ties. “I would like to thank the people of Seychelles for the support they have always offered to our country, in the voting against the blockade, as well as in other international forums,” said the Cuban ambassador. According to a press statement issued by State House, aside of discussing bilateral issues, President Faure also used the opportunity to once again express his condolences to the Cuban people following the death of their former president, Fidel Castro. Pino is the 11th Cuban ambassador to be accredited to Seychelles and he will be based in the 115-island archipelago in the western Indian Ocean.